HCV Action is a unique partnership of hepatitis C healthcare professionals, the pharmaceutical industry and patients. It is a network that promotes and shares useful materials, news, events and good practice between hepatitis C health professionals across the country through monthly e-updates and a website, www.hcvaction.org.uk. HCV Action is led by a steering committee, chaired by Dr Stephen Ryder, with GP, nurse, consultant, Public Health England, patient and industry representation. The group is co-funded by Janssen, Roche and MSD, who all sit on the steering committee. The Hepatitis C Trust has provided secretariat support to the group since September 2010. All decisions are made by consensus towards our shared aim: to ensure that hepatitis C is effectively addressed across the UK through prevention, early diagnosis, successful treatment and care. Between July 2011 and December 2012, HCV Action’s membership increased from 200 to over 1,000 healthcare professionals. 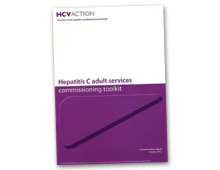 In response to the healthcare reforms, we developed and published a pioneering Hepatitis C Adult Services Commissioning Toolkit (October 2012), www.hcvaction.org.uk/commissioning. 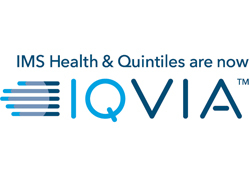 Public Health England has asked us to present the Toolkit at their first Annual Conference in 2013 and four national charities have followed the formula to develop similar commissioning toolkits. Through good collaboration these HCPs became the voice of the hepatitis C professional community and there was a national focus which was great. They engaged Public Health England and produced a toolkit which can be used by commissioners. We liked the simple three-pronged tactic, impressive support materials and good results.